*This section deals with how the customer PO’s are matched with the invoices and the PO details are printed on the reports. 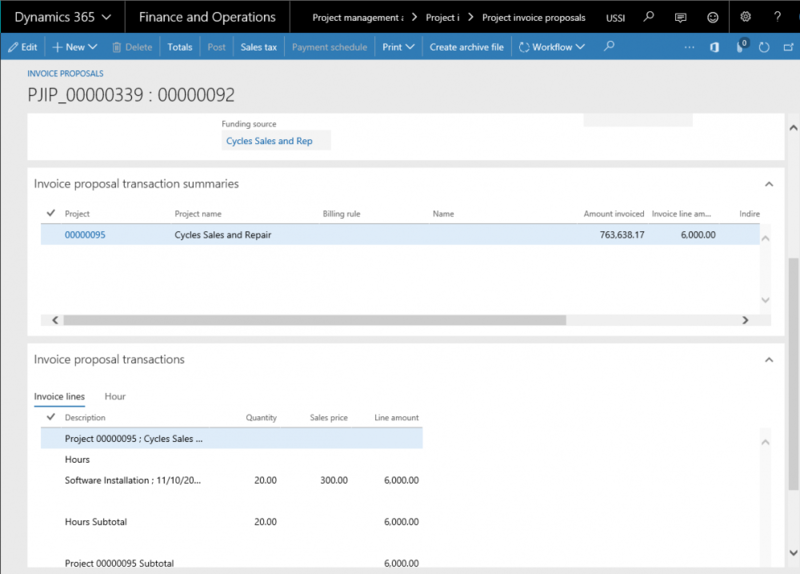 The user will have to create an invoice proposal using the Invoice proposal form. The default Customer PO details will be updated automatically in the customer PO field if Project contract contains PO line. The user can change the customer PO reference at the invoice proposal level. Once Invoice records approved and posted, the record cannot be modified in the invoice proposal, and on the invoice. Go to Project management and accounting > Projects Invoices > Projects Invoice Proposals. The user can post the invoice proposals once they are fully approved. Once posted, the invoice amount is updated in the respective Customer PO line. 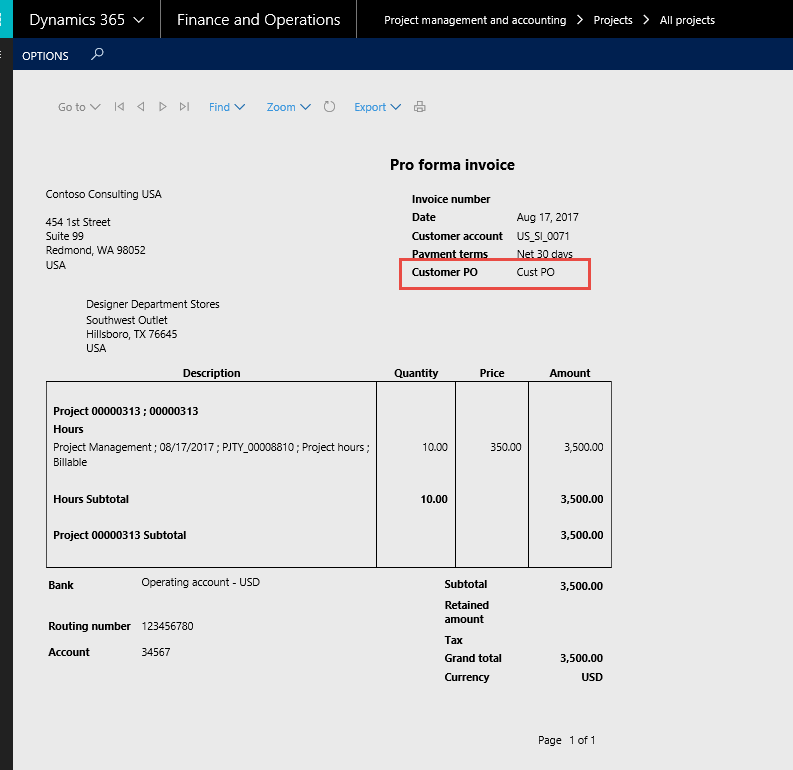 The Customer PO references can also be seen in the printed invoice copies when the Invoice format is set to either detailed invoice or summary Invoice while printing or posting the invoices as shown in the below report.